Meet Pecan. 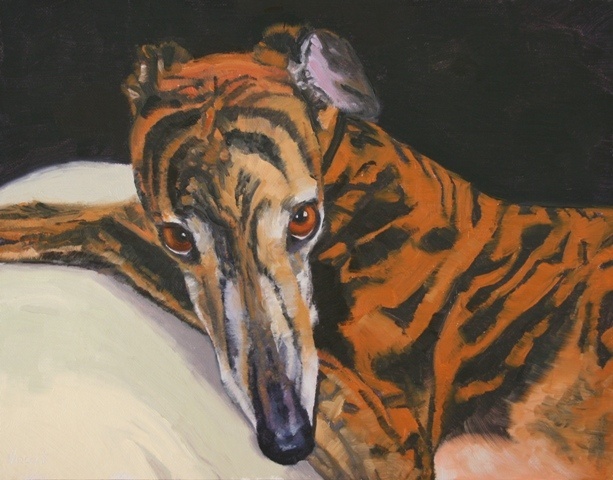 He is a male greyhound that looks like he struck that sultry pose just for me to paint. What a handsome dog. His life was not always one of relaxing on the couch. He was adopted from www.gpanashville.org. Pecan came from Greyhound Pets of America Nashville. His parents say that "although he is a broken leg dog he loves to run zoomies through the house with stuffies." Enjoy your wonderful life Pecan and thanks for that look.